Hello everyone! 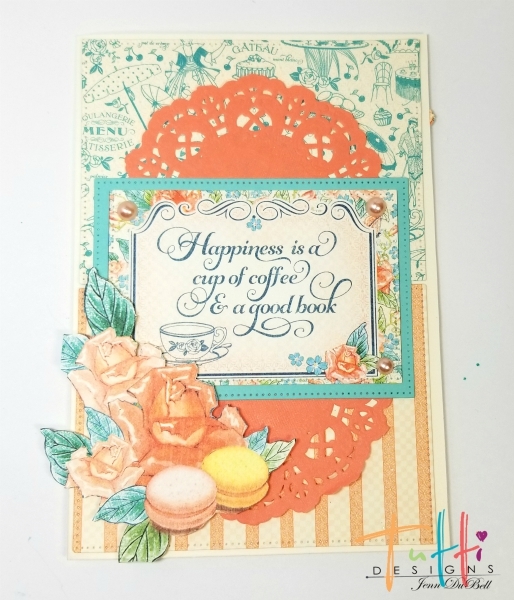 Jenn here sharing a fun friendship card using the amazing Tutti Designs Dies! 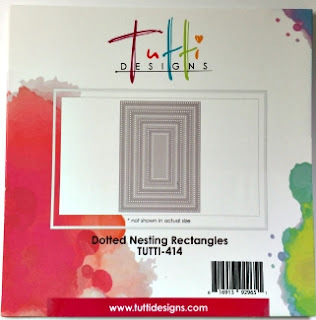 I love to use these dies when creating my cards because they not only give me precise rectangles, but they also have the dotted edges for beauty. 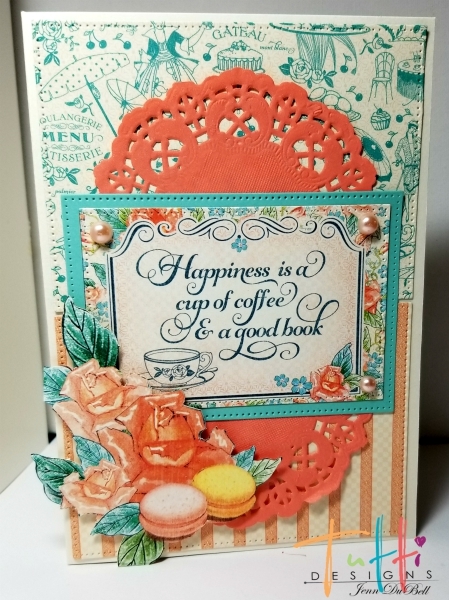 For this card project I used the Dotted nesting Rectangles Dies. 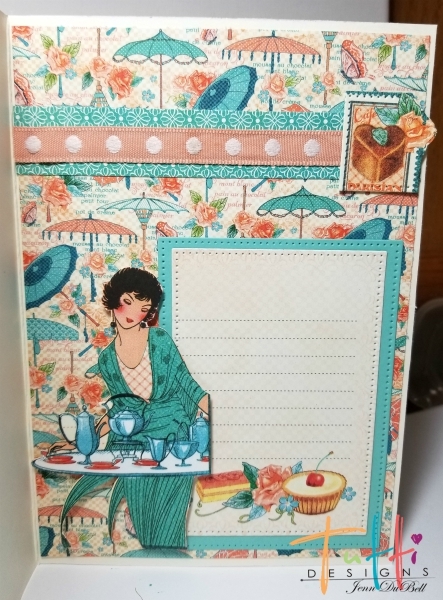 Papers used are from Graphic 45's Cafe Parisian collection along with solid cardstock in aqua. Cut a 4 3/4" X 6 3/4" piece of patterned paper twice. One for the outside front base and one for the inside base. Make the following die cuts. 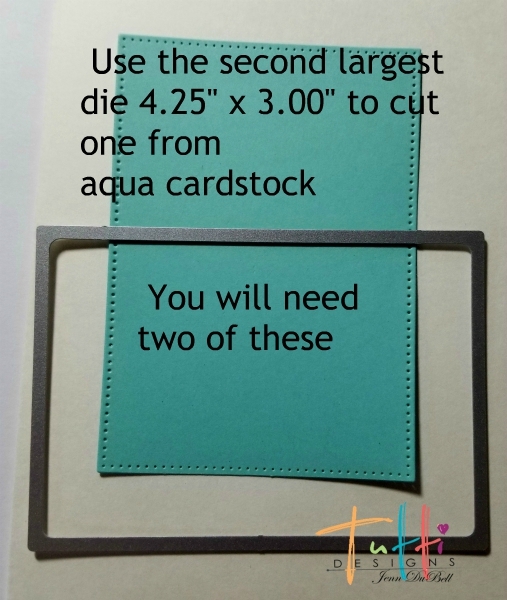 Set all of the die-cuts aside and open the card to adhere the first layer inside. Use a taperunner or other adhesive to adhere the inside paper. 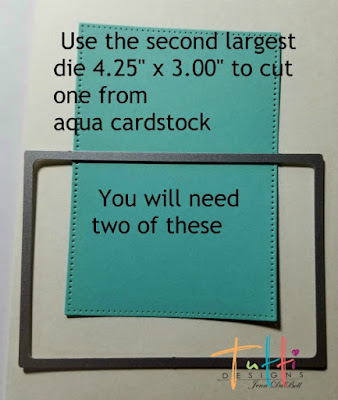 Layer together one of the aqua rectangle die cuts with the lined cut out on top of it. Adhere these to the bottom right corner. Add a strip of colored from the patterned scraps on top and layer it with a fun strip of ribbon. Add the fussy cuts. 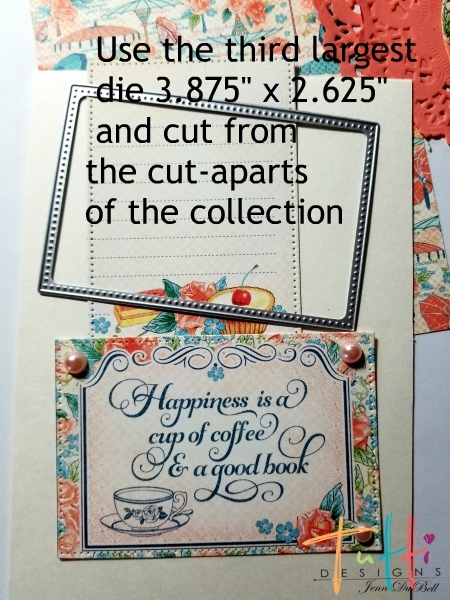 Place the two large dotted rectangle die cuts on the front and adhere with tape runner or other adhesive. Overlap two doilies in the middle and adhere them with tape runner or other adhesive. 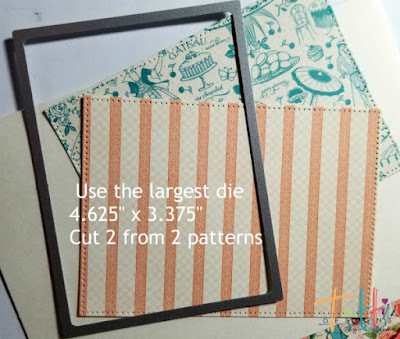 Layer the last two die cuts (one Aqua, one sentiment cut apart) together and adhere to the middle of the doilies so that the top and bottom of them peek out. Add the fussy cut and some pearl bling and there you go! A fun friendship, Thank you, or just for fun card to send to a friend! Here is the card front completed again. This is so beautiful, Jenn! I love the colors!